The Crimson Trace Laserguard is a compact laser sight. The laser sight attaches firmly around the trigger guard and features Crimson Traces famed Instinctive Activation which allows the laser to be activated by simply gripping the pistol in a normal firing grip. It provides two 2 hours of run time on a single 13N battery provided. 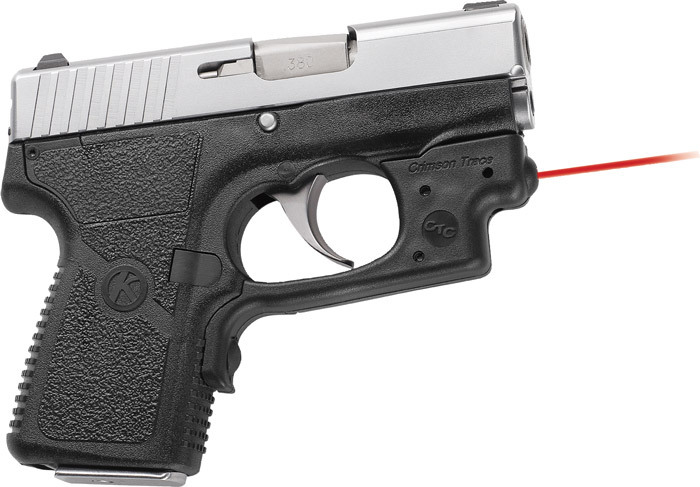 Easily userinstalled in moments with no alterations to the firearm the Laserguard is fully adjustable for windage and elevation.This red laser model is compatible with Kahr P380.